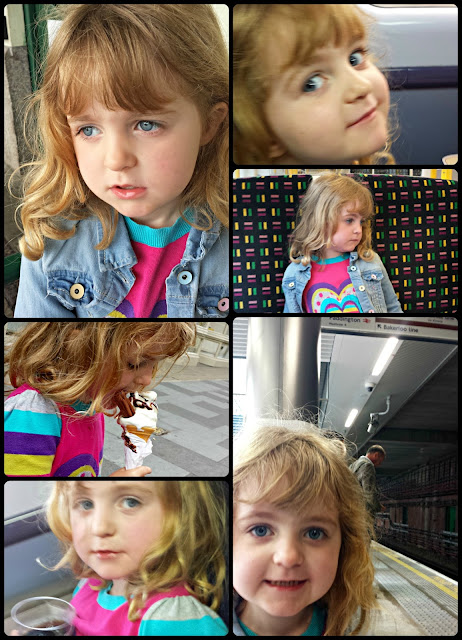 Last week I took Squeaks for her first ever trip to London. She has been asking for ages to go to work with me. And has begun getting worried about London Bridge falling down. For a few reasons we thought the sooner we could do this the better. I began to keep an eye on my diary for shorter meetings and day trips which would allow her to travel with me. I checked with the two lovely Lorraine's at the London office that it would be ok for a 'bring your child to work day', other meetings were out and about at coffee shops, where I felt sure a bag of tricks would allow me to get on with things whilst Squeaks was kept out of mischief. And as it was last week I had a day with a few short meetings. Which seemed perfect. 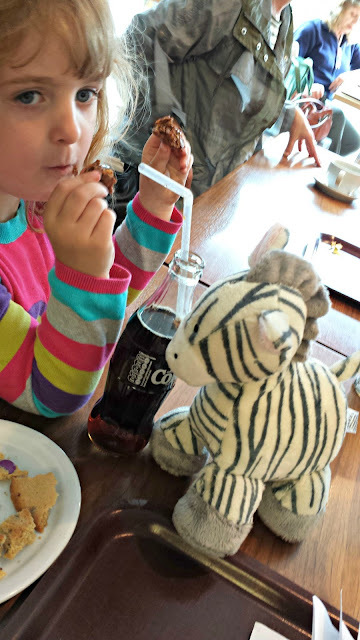 And then +Sarah mentioned that The White Company would be hosting Christmas in July early evening, and it seemed perfect to balance our trip, and we also manage to get to Mothercare & ELC's event between meetings. We had a great day in London. It was such a long day, leaving at 6am and getting home for 10pm. Squeaks loved the blue train, and the tunnel trains. She met lovely Lorraine, and spent a while telling her how lovely she was, how mummy wee-ed a lot (great!) and how Lorraine and her friends could come to our house to play. At one of the coffee shop meetings she reneged on a promise to be quiet, and told mummy (loudly) she didn't like one of the men at all, and spent the rest of the time spending the woman who accompanied him how lovely she was. But then, went to the counter and asked if she could have a banana. So at least proving mummy does feed her good food. Squeaks handed it all exceptionally well. And I am glad her first trip to London was so enjoyable. It does however cause a few issues as to what Squeaks actually thinks mummy does at work! looks like she had a lovely day, love the fact she is going to believe you spend your days playing with toys at christmas in july style events tho! Seren is so gorgeously sweet! You are a lucky Momma! Glad you had fun :) Am already terrified about Christmas!